and welcome to our "Rainbow Nation"! South Africa is a diverse melting pot of cultures and colours, where different forms of dance, music, song and food can be enjoyed. Our school is proudly situated in Cape Town - few cities in the world have a more spectacular setting than the historic Mother City, which lies cradled in the arms of the majestic Table Mountain. On arrival, students are greeted by our warm and welcoming staff members. Cape Studies has once again been voted as one of the top five language schools in the category ‘ STM English Language School southern hemisphere’. Other accolades include our Cambridge exams and LCCI success rates. Of these achievements we are proud and motivated to keep up the excellence. Our professionalism and organisation will have you seated in your classroom by nine o’clock, ready to learn the most widely spoken language in the world! Our activities coordinator is available to assist you with whatever activities you may want to try. Whether it be safaris or wine tastings, we’re here to help. So come join us and feel at home. Most schools pride themselves on being ‘the fanciest’ or ‘the largest’. We pride ourselves in our teachers – as it is they who make a lesson successful. Subsequently this leads to the high achievement of our clients. We believe that a good teacher is essential for a language course to be a success. A compelling teacher will make sure the course is not just good, but excellent. We are honoured to be working with such wonderful teachers. Cape Town is also known as the Mother city with Table Mountain as its majestic backdrop. This city rivals Paris, Rome, Barcelona and San Francisco on 50 places to see! It has a natural beauty that captivates visitors and locals alike and promises to put a smile on your face and warmth in your heart. In 2011, Table Mountain was voted one of the top 7 Wonders of Nature in the world and this is something you will want to see. 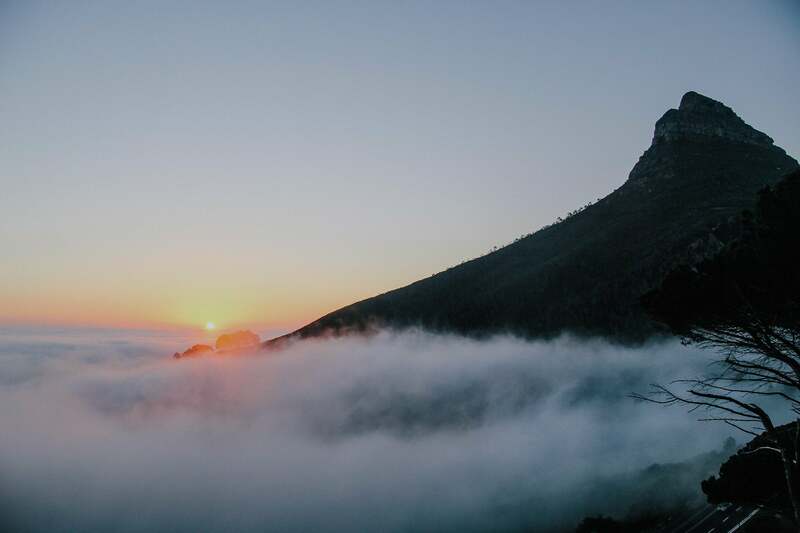 Table Mountain provides Cape Town with a spectacular backdrop and offers visitors the extraordinary experience of walking on top of the mountain and enjoying breathtaking views of the city and the Atlantic Seaboard. If you have not yet heard, Cape Town is also the Design Capital of the world and has many unusual projects on display in different parts of the city. Come see the creativity of our people and savour the vibe of this truly amazing city we call home. Cape Studies is one of the oldest language schools in South Africa. We opened our doors in 1995 making us a founding member of the language travel industry in South Africa. Our consistency in high quality training sets the standard for all other schools in Cape Town. The school is situated in Green Point, has a swimming pool and all classrooms open onto the garden. We certainly have had some amazing students! “Where better to learn to speak English than in the fairest cape! It’s like a working holiday, without the work, with an awesome view and cool people, nightlife and beautiful beaches! Actually, it’s nothing like work at all! “Cape Studies in Cape Town is the best place to learn and speak English. Thanks to the facilitators. “If you need to learn to speak English Cape Studies in Cape Town is a great place to do it! Run by a professional energetic team your experience here will be a great one Well done to Daniel and his team! Keep up the good work. “One of the most refreshing experiences I have ever had. I highly recommend Cape Studies Language School in Cape Town.